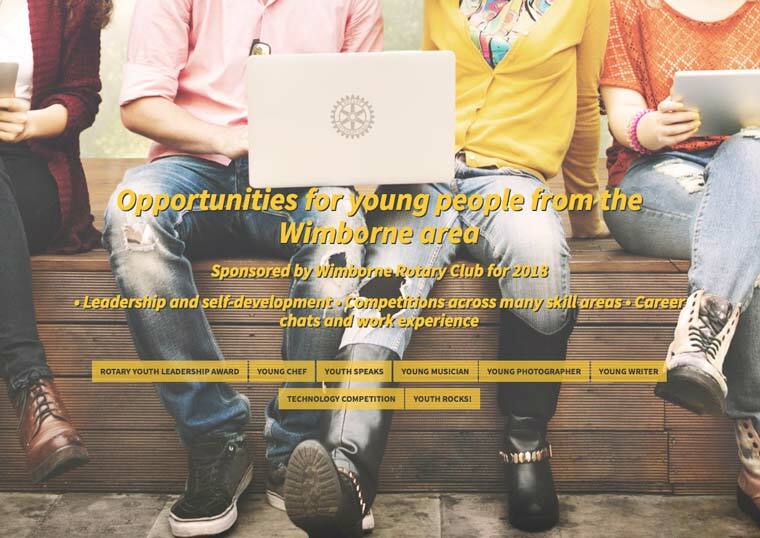 Wimborne Rotary has launched a new website designed with the aim of raising awareness among young people locally of exciting opportunities for them through participation in Rotary-sponsored or supported competitions. The new web site at www.wimbornerotary.org/youth shows details of free-to-enter local, regional and national competitions which can be entered by young people aged between 11 and 17. Neil Hutchinson, Youth Chairman of Wimborne Rotary, says, “I am keen to raise awareness of these awards not only to young people but also to their parents and teachers. “The range of possibilities is wide and will appeal to young people who have enthusiasm for a particular skill or skills. The website provides a facility for young people to pre-register their interest in one or more awards,” he added. The youngsters need to register their interest and then will receive further details and the closing dates for award applications.